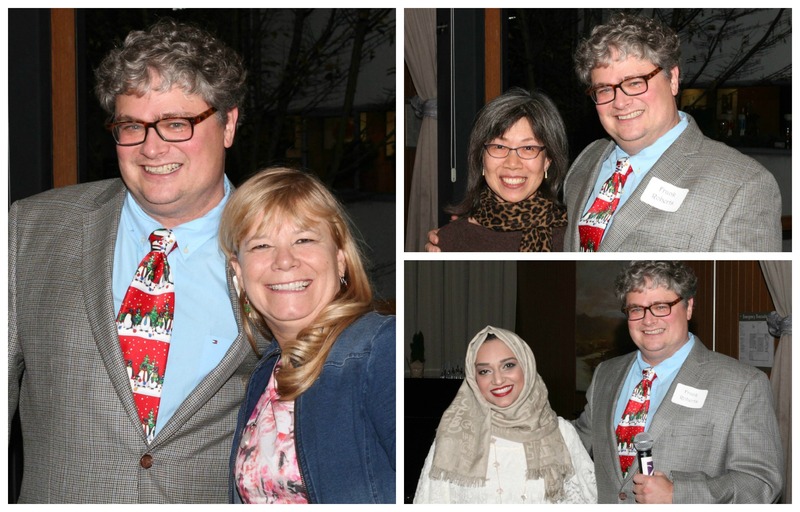 Recently the Department of Periodontics held our annual Faculty Appreciation Dinner, a time for the Faculty, residents and staff of the department to gather and offer thanks to our excellent group of dedicated affiliate faculty members. The affiliate members give generously of their time, mentoring our graduate and predoctoral students in the clinics and in diadactic classes each week and the time and expertise they share with our students is invaluable. We managed to get all of the faculty and residents in attendance together for a great group photo! 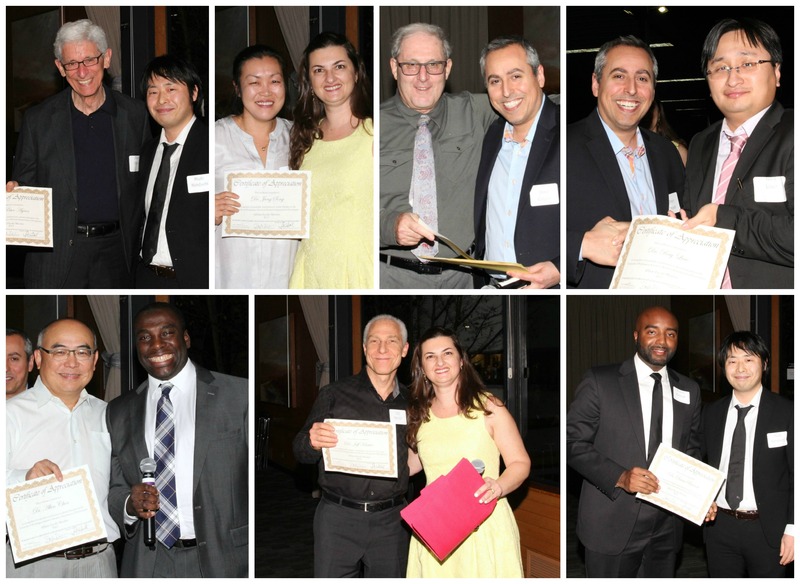 After a lively cocktail hour and a delicious dinner at the University of Washington Club, all of the affiliate faculty members in attendance were presented with certificates of appreciation – given to them by the third year residents who expressed their heartfelt thanks. Dr. Frank Roberts was also able to extend a special thank you to the faculty who worked so hard in the predoctoral clinics, especially in the new clerkship program. 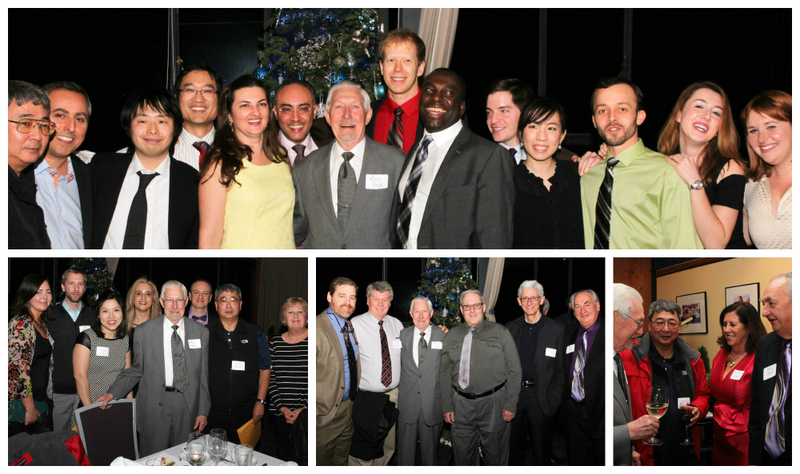 This year we were joined by a special guest – Professor Emeritus Dr. Roy Page. Old friends enjoyed the chance to visit with Dr. Page, and the residents were thrilled to meet and talk with a legend of the field – many photos were taken! 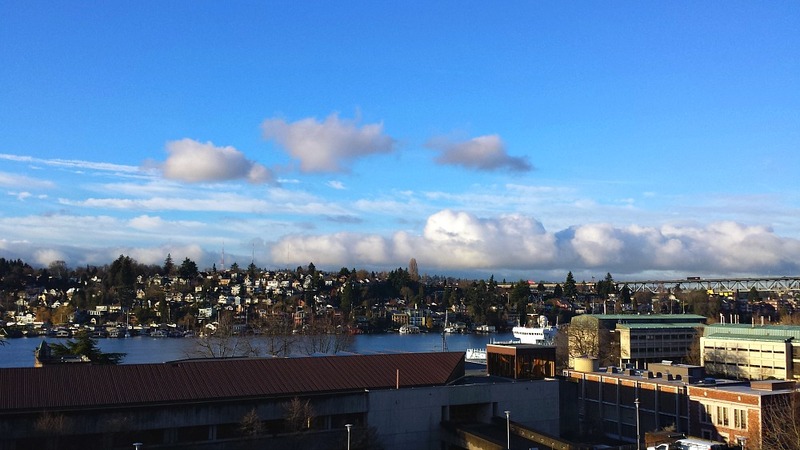 This entry was posted in Events and tagged alumni, appreciation dinner, faculty, party, residents on December 15, 2015 by Meghan Guillen.